A Place to Find Encouragement, Hope, Practical Tips, Inspiration and Insight for Blended Families ......... .......... ..... GOD CAN...take your stepfamily... FROM BROKEN TO BLENDED TO BONDED ! Welcome to a Blog for Blended Families ! Blended Families often seek Encouragement, Hope, Motivation and Insight. Join us here each week for practical & powerful ways to rise up & defeat those challenges that can weaken, damage or destroy your family. Facing a Stepfamily 'Harsh Word' Moment? If you are a member of a stepfamily you know the moment. Something has wounded you. Somebody as done or said something inconsiderate, probably hurtful and often done in a flash moment that one wishes they could 'take back'. So let's together all go buy a roll of 'DUCT TAPE'. Keep it handy as a image to improve we'll explain below. 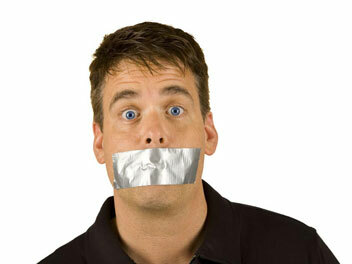 So we can implement - both for fun and serious improvement for our families - the "DUCT TAPE RULE". 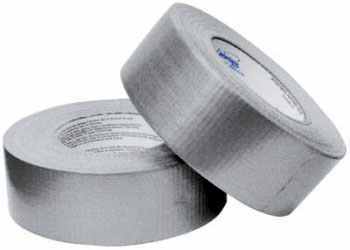 The uses of duct tape have been chronicled, joked about, tested on TV and basically touted as the 'official fixer' of anything. Well, perhaps we can add yet another line to duct tape legend. Heard any words like these? "Your children are not disciplined!" "I quit. I can't handle this marriage this way." "You favor your kids over mine." Whether age 5 or 95, we've heard of sharp tongue moment stories and outbursts like above and more. Have any of these ever maybe been you? If so, you're not alone. Over 23+ million stepfamily households in the USA. So, given the normal human beings we are... probably about 5 million people today said something that should have fallen under the 'DUCT TAPE RULE'. ﻿I can laugh and say that if I were to recognize all my former slip ups I might look like the DUCT TAPE GUY on the right. Americans spend way too little time listening, sharing or communicating with our children. Then At The Bonded Family we suggest at least 7 minutes a day. It goes fast! Make sure your sitting or standing or kneeling (if they are youngsters) and together you are at their eye level. Eyeball to eyeball...NOT giant parent to little kid downward communication arrangement. You'll grow closer at eye level. Let there be no mistake...our tongue can spark a hurt, a fight or a longstanding squabble. The more we work to have self-control, the better our family will be. And in stepfamily dynamics, it IS IMPORTANT to take EXTRA CARE of your tongue and emotions. Every moment or situation, despite seeming big at that instant is not always... 'a hill to take the last dying stand for'. It truly can be very hard to be still 'in the moment', yet as a potential 'TBF Family Huddle' discussion item, talk about how words can wound. How things we say in a moment of hurt impact others. Discuss the Golden Rule when it comes to communicating with one another in our family words. Also even how our looks at each other. Ask kids to describe 'Mom or Dad' 'I am not happy look'. That'll bring some laughs. If your family is a 'word picture', 'symbolic' or 'example' type family, pull out a roll or two of DUCT TAPE and say 'Let's try the 'BLENDED FAMILY DUCT TAPE RULE' from here on out. "Who is willing to start watching their words better?" Often times, the recognize a situation can teach and coach maturity in relationships for our children. After all, we are to 'raise them up in the way they should go.' 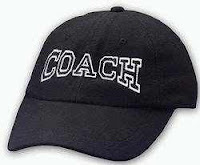 Mentoring and Coaching our children to 'hold their tongue' when about to be harsh will SERVE THEIR FUTURES WELL. For Daily Blended Family Encouragement; Tips Follow us on TWITTER. OR.... Join us on FACEBOOK. TRY THIS! PRINT OFF ANY OF THE ABOVE DUCT TAPE PICTURES. PUT IT ON YOUR REFRIGERATOR OR BULLETIN BOARD AS A FUN REMINDER TO YOUR BLENDED FAMILY....LET'S BOND AND USE KIND WORDS. Obama 2nd Term like Blended Family Trials? President Obama. 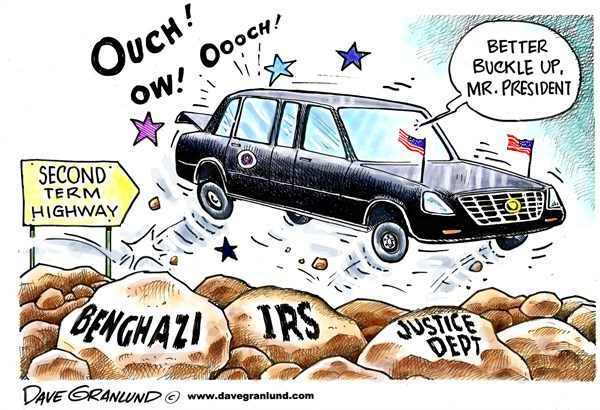 Benghazi. IRS. AP. Bumps in the Journey are Appearing Weekly. The topic of this blog post is Politics and Divorce. I'm not going to lambast any President. Don't believe in that. Blended Family life is my the tie in here, or I wouldn't write. A 2nd term for Presidents often holds bumps just as 2nd marriages do. Stepfamily life can lead to the 'opposition' pointing out all mistakes... broadcasting faults, slip ups, blame and antagonism. Pointing fingers. Sadly, ugly partisan politics permeates America today. Turn on your TV... it's Republican vs. Democrats. White House vs. Congress. Conservative vs. Liberal. Right vs. Left. One side 'hungry' for the other sides slips. For the purpose of this blog - while I hold an opinion on American leadership - I will move to the point. The wounds of divorce hurt children, as they are often damaged by the 'politics', games, maneuvering, court and custody struggles. In blended family life the #1 'developing family', in a stepfamily, challenge - as measured in a survey of over 1000 blended families - was 'antagonism, indoctrination (PAS) or negative influence' from former spouses. We've seen it in almost every 'touch' we have with new blended family marriage that is struggling. "Reaching in" we call it. It feels like a 'giant hand of negativity' reaching into a home, trying to manipulate feelings, rules, finances, relationships, respect and authority. WHY is their often an effort to hurt the other home? "Hurting People Hurt People". Pride. Selfishness. Need to Control. Anger. One or both sides believe they have to be the 'better' or 'main parent'. Communicating, sharing or mutual respect does not exist in their thinking. This type of behavior diminishes victory for children of divorce in their lives. Yet such destructive behavior permeate divorce and new blended family relationships. No one wins. Most everyone loses. Children, and the long term effect on them, get hurt the worst. THEY MUST BE A BAD PARENT"
If you find yourself needing the other parent, their spouse (stepparent) or their home life to be bad...check your heart. What are you finding in YOUR HEART? Shared parenting, respect, following guidelines, communicating and honoring the other parent, their new marriage (if one) and the opportunity for their 'Family' to succeed is impacted by the other home. Follow the Golden Rule. How would you like to be treated? "FOCUS ON SOLUTIONS and NOT THE OTHER SIDES PROBLEMS". The Bible shares - as always - some great wisdom on negativity. Check your heart. I have to constantly check mine. And...Always... Keep Looking UP! God is there. Sometimes in the dynamics of stepfamily life, we often feel like an 'underdog' role in our families. Parents or children are often in an 'arena of life' that presents itself with bumps and challenges. We wish there were referee's sometimes. Somebody to 'blow the whistle' or 'throw a penalty flag'. This blog entry is about how to find our way to victory..... in the Super Bowl of life. Even if you feel ONE YARD SHORT...remember... GOD'S NOT DONE! CLOCK IS STILL TICKING. Steckel’s book chronicles his life journey and his compelling stories and testimony makes it tough to put down once you start. I am in the middle of reading the book currently. It is a 'MEGA-ENCOURAGEMENT BLESSING' book that offers us yet another testimony to trusting in God and His incredible Hand. Anyone in a blended family, adult or teen should read this book. It isn't just a sports book, a guy book, it's a life book. Moms, Grandmas and Daughters will love it also. 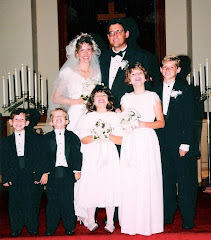 HOW DOES "ONE YARD SHORT" RELATE TO BLENDED FAMILY LIFE? Often in the dynamics of stepfamily life one feels like you are often behind, things look tough, it is 'fourth down', that you want to 'punt' and hope seems lost. That's when we really do need to 'put on our headset and call upstairs to get the next play to call'. What I mean by that is to 'look to God for your next move, how to handle a child or marriage scenario'. He will answer. He may not always give us the 'play' we want to call, but the PLAYBOOK (BIBLE) we are called to draw from does not offer mistaken advice. Check out the playbook of life (the Bible). YES YOU CAN be a Super Bowl Champion-like Blended Family if you let our Lord God Almighty lead you in calling the signals in your family. Check out your playbook (Bible) today. BLENDED FAMILY DEMOGRAPHIC TOPS SUPER BOWL VIEWERS. A ‘SUPER TO UBER’ SIZE COMPARISON RANKS STEPFAMILIES ON TOP. More TV’s were tuned into the 2012 Super Bowl then ever before. According to the Nielsen ratings system, Super Bowl XLVI viewership of 111.3 million viewers broke all records to become the most-watched TV telecast of all time. We are a nation of football fans. We are also a nation of changing family dynamics and structure. Blended Families, often called ‘Stepfamilies’, has become the largest family demographic in the USA. In America today there are over 23+ million stepfamily households. It is the largest ‘under the radar’ demographic in the USA, and one that grows daily with over by approximately 2000 new stepfamilies formed per day. While the Super Bowl viewership can list 111.3 million viewers, the population of people living - or directly associated to in their immediate family - in stepfamilies is over 160+ million. One could say it is a ‘Super vs. Uber’ size comparison. If you are reading this and you are a part of (husband, wife, child, grandparent, etc) blended family nation and this ‘uber’ population, you are not alone. YOU and YOUR FAMILY are not alone. There are people and organizations that exist to serve and help you. NBA BASKETBALL FEVER is Heating Up! What Do Referees and Blended Families Have in Common? 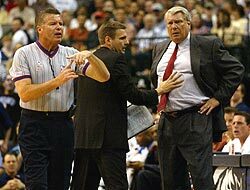 How Calling Fouls (On Your Stepchildren) Changes The Game. Blended Family Life and Sports have similar scenarios. I was a basketball referee for 10 years. Was accepted into the NBA Referee Development Program in the early 80's. Great season of my life. Then I went into a 'Public Service' season (politics is the ugly side of Public SERVICE) for 10 years. Seems I always picked avocations where you get yelled at. Referee. Elected Official. Sooner or later. You get booed. Could be some form of a character quirk there huh? Heh, heh. On the basketball court a ref is half right or half wrong depending who someones cheering for. You'll be told 'great ref' to 'get some glasses you bum'. In politics you can go from 90% 'great guy popular' to 90% 'throw the bum out' with one vote on an issue. From Hero to Zero in a day I called it. To some stepchildren, especially early on in a new family situation, every 'foul' called seems like they are being called for a 'Technical Foul'. Throw out of the game. (relationship or love) As parents, we can work together to set household rules upfront and out front. To make sure that we as husband and wife also upfront know WHO is to make the call and when. To be slow to let the play unfold. Don't rush to 'blow the whistle' on every call or behavior. Work to let God guide you and say 'Be still and know that I am God'. (Psalm 46:10) Call the game with a clear understanding that it's a 'long season' and you don't want to crush a player (child) with a poor judgment call. Make sure you create - again as our good friend Zig Ziglar says - the 'Home Court Advantage'. That your family knows you love them and are here for them no matter what. That we learn from mistakes, we are growing and bonding one day at a time. Trials will exist, but remind them always 'this too shall pass'. Encourage 10 times for every 1 discipline. One thing we learned in the NBA Referee Development Program was to 'see' the whole court. Not just one action. To scan what is going on. Many refs focus just on the basketball and lose track of the other 'stuff' going on on the court. How can you relate to that as parents in your 'home court'. Parents...be aware of your 'home court'. Be keenly aware of body language, countenances, friendships, activities, Facebook, cell phones, etc. While we should allow for reasonable freedom for our children, there is an overboard and damaging myth and trend that promotes 'let a teen make their own decisions'. We've seen this in some families and 'freedom' actually 'slows maturity' in kids in teens or early 20's. They are impacted by a lack of foundational guidance to do the right thing, and this can create an 'all about me' selfishness that is clearly too evident in society in general as a whole. Children deep inside want boundaries from parents. They want leadership. Unconditional love. Research clearly shows the safe and solid boundaries, coupled with solid encouragement and support create healthier children. We like to share to 'Encourage 10 times to every 1 discipline.' You'll create a champion child who understand love, respect, authority and honor...all while knowing they are able to both stumble and do great things and you will be with them just the same in all circumstances. Be cautious not to let divorce / two homes for a child create a 'never call a foul' environment in order to 'win' love. That's not good either. Parents in both homes, remember, you are not in competition for the children. It's okay for children to love both homes. Kids are not 'wired' to have to choose. They want to feel safe to love. It is generally the parents who create a 'they must be bad, so I am good' sad scenario. Most everybody is good. Nobody is perfect. Look for the GOOD in all people. My great friend Jesse Hall holds a double special place in my heart. He was one of three people who talked to me the most about the Lord and thus brought me to Him. 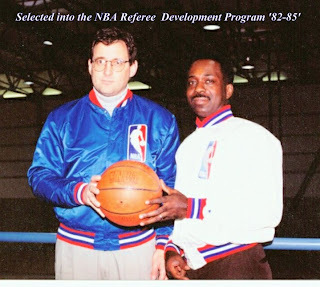 Jesse also got me into the NBA Referee Development Program. One is eternal. Both are thrilling. Jesse still is in the NBA record books as being the referee in the highest scoring game in NBA history. 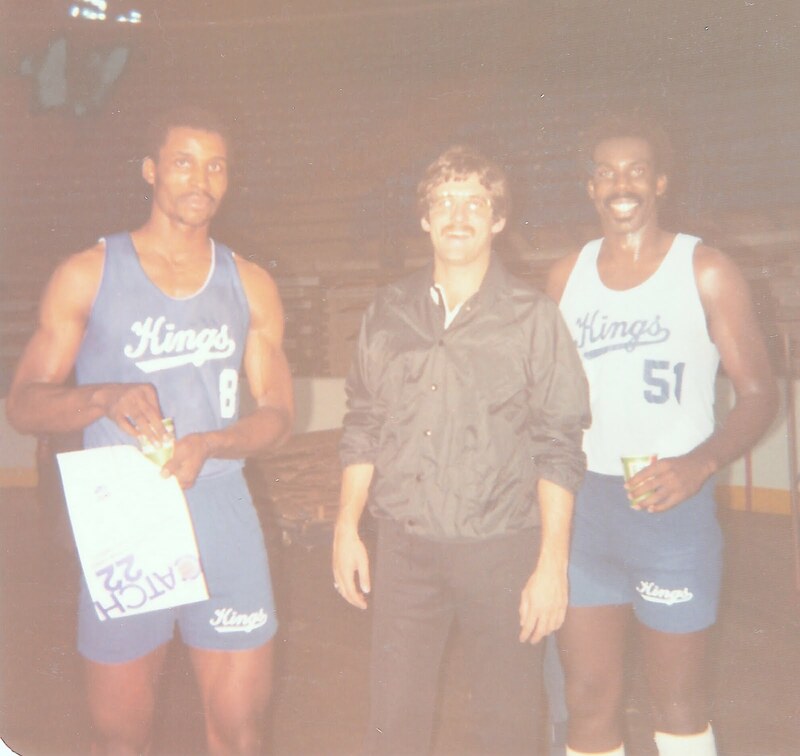 In triple overtime it was Detroit Pistons 186, Denver Nuggets 184, on Dec 13th, 1983. I tease Jesse that he took the old adage 'let 'em just play ball' a little too far. He is a great friend and super speaker should you ever need some great sports or life stories from an incredible guy. Jesse can 'bring the wood' as they say in some churches. Jesse would tell you, as I would that we do have a life 'rule book'. The Bible. It's the 'All Time - All Timer Best Seller ever! It's an awesome marriage manual, parenting book, how to live life guide. The rules were followed to create laws in this country. The Supreme Court has the Ten Commandments standing on it's building. Many have tried to prove it wrong and failed. Some have sought to prove it wrong and now are great preachers and teachers. Now, there are many other great resources out there to help blended families, parents and marriages. We own them and learn some things from them also. Many can be found on our website. But follow the SUCCESS and CHAMPION LIKE FAMILIES in our nation and you will see a solid foundation in faith and togetherness wins more often. That scoreboard speaks for itself. We talk about practical tips, parenting skills, real life examples, experiences and everyday stepfamily dynamics in our conferences, but this we know and stand upon.... GOD CAN take your stepfamily... from Broken to Blended to Bonded. We are available for speaking, conferences and resources at THE BONDED FAMILY. 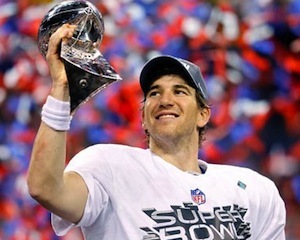 Eli Manning raised the NFL Championship trophy as America watched on. We are a nation of football fans. We are also a nation of changing family dynamics and structure. Blended Families, often called ‘Stepfamilies’, has become the largest family demographic in the USA. 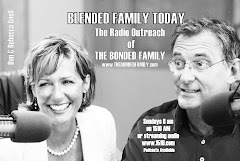 THE BONDED FAMILY exists to serve the blended family population in America. The training, effort, practice, repetition of plays, studying film and playbook that the Giants undertook to win the Super Bowl, is the blueprint for any 'championship'. We have seen the great blended families including real study, effort, prayer and trusting God in their daily stepfamily walk and life. GOD CAN...take a stepfamily...from Broken to Blended to BONDED. And you know what!? GOD LOVES YOU! HE WANTS YOU TO HAVE JOY IN MARRIAGE, FAMILY and LIFE! He knows what you've been through. Doesn't like it, yet His mercies are new every morning scripture tells us in Lamentations. For those who are reading and think Rebecca and I might be saying divorce is okay. Stop! Rewind! Listen. We never think that. We want to drive out divorce in America. We've lived through it and anyone who has knows the pain. We completely understand why in Malachi the Bible does say that 'God hates divorce'. We've lived it. He knew the challenges, the children's hurts, pain, wounds, generational damage and spiritual battles it creates. His PROMISES are real. And that's what we share. 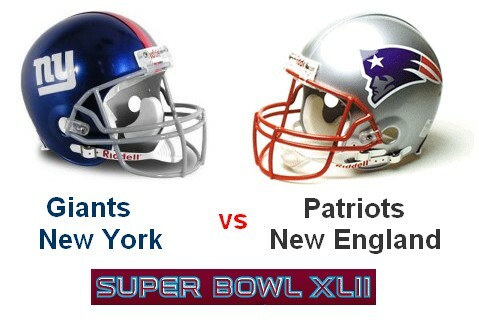 SUPER BOWL SUNDAY! Blended Families CAN WIN! Want to explore hosting a Blended Family Workshop at your Church or in your Community? Whether age5 or 95, we've heard of sharp tongue moment stories and outbursts like above and more. Have any of these ever maybe been you? If so, you're not alone. Over 23+ million stepfamily households in the USA. So, given the normal human beings we are... probably about 5 million people today said something that should have fallen under the 'DUCT TAPE RULE'. American's spend way too little time listening, sharing or communicating with our children. Then At The Bonded Family we suggest at least 7 minutes a day. It goes fast! Make sure your sitting or standing or kneeling (if they are youngsters) and together you are at their eye level. Eyeball to eyeball...NOT giant parent to little kid downward communication arrangement. You'll grow closer at eye level. Please Visit This Blog Often ! Top 25 Blog - Voted by Moms! SEARCH TOPICS & CHALLENGE AREAS Your Facing in Your Stepfamily. Keep Your Blended Family Antenna Up! Blended Families ... Embracing the Word YET! SUBSCRIBE TO ALL POSTS HERE! Would you attend a Faith-Based Blended Family Conference? ABFA - Official Website for the American Blended Family Assn.